2017 should be remembered as the “Year of the Acquisitions” following the number that took place over the last 12 months, not to mention the size of their importance. In an effort to focus more on its radiology business, Bayer announced its decision this summer to sell its Multi-Vendor Service (MVS) operations to Resilience Capital Partners and North Park Capital Partners (Resilience/North Park). The MVS business, which provided repairs and maintenance primarily for non-Bayer radiology devices, such as MR coils and ultrasound transducers, formed an extension of the Medrad MR coil manufacturing business for the repair of multi-vendor coils in 1996. Operations take place at three depot repair centers in Pittsburgh, PA; Tulsa, OK; and Maastricht, the Netherlands, with each maintaining an ISO 13485 certification. The purchase, according to a Bayer spokesperson who spoke with HCB News, supports long-term sustainability for MVS in the third-party radiology device repair sector. Bayer’s choice to sell to Resilience/North Park was due to its experience in forming stand-alone companies. Bayer will continue to oversee its service business, providing such support for the devices it produces. 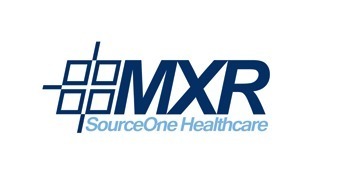 The acquisition of Consensys Imaging Service marked Merry X-ray Corporation’s transition from a mere distributor of X-ray equipment to a one-stop shop for X-ray, MR, ultrasound, CT, mammography and a variety of other imaging modality needs. “Now, whether you’re talking about the sale of a digital X-ray or the service of an MR, we have one place where we can offer our customers the service systems of basically one company,” Ted Sloan, the president of Merry X-ray, told HCB News.